Soul food is supposed to be mind food, it should be food that provokes the mind, that causes your will to go limp due to the goodness, and sparks an emotion that floods you with happiness and memories of safety and love. If the “soul food” doesn’t invoke those feelings then is it even fair to call it “soul food?” I would venture to write, NO! When I hear the word “soul food” my mind automatically goes to staple foods, like macaroni and cheese, to collard greens, and more. Even at the onslaught of the thoughts I begin to reminisce over the times where I indulged and laughed and smiled at the anticipation of my next bite, but also the Hallelujah in my soul because it tasted so delicious. So when I go to a “soul food” joint that does not beget these familiar feelings I feel an stinging innervation of despondency. 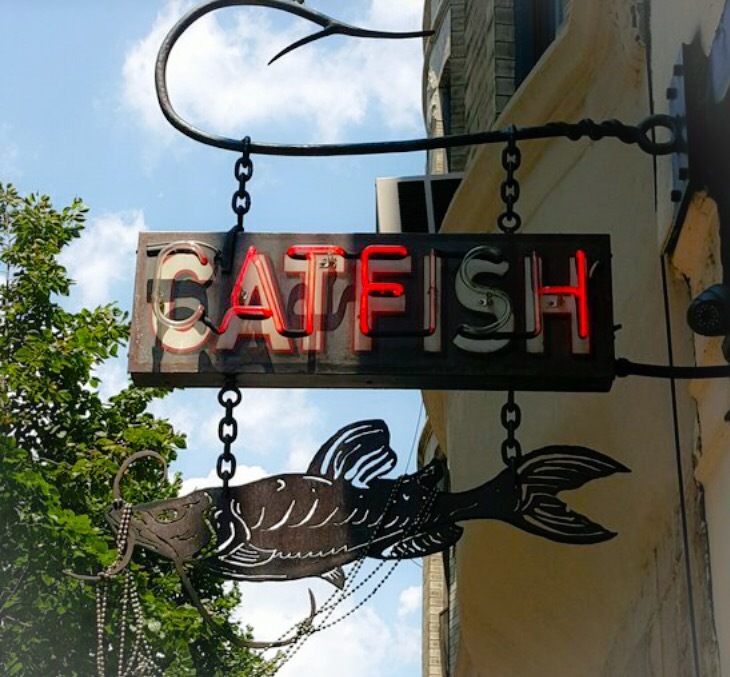 The blue funk was instigated by Brooklyn, New York’s restaurant called Catfish. First up was the crab cake and it wasn’t lump crab meat, but claw meat. Now if you are a crab connoisseur like I consider myself to be, then you know that the legs are typically the most delicate, retains the most salt, and in most cases require little seasonings. So imagine the bitter pill I had to swallow when I tasted it and discovered a pepper cake, yes a pepper cake. What is a pepper cake you ask? 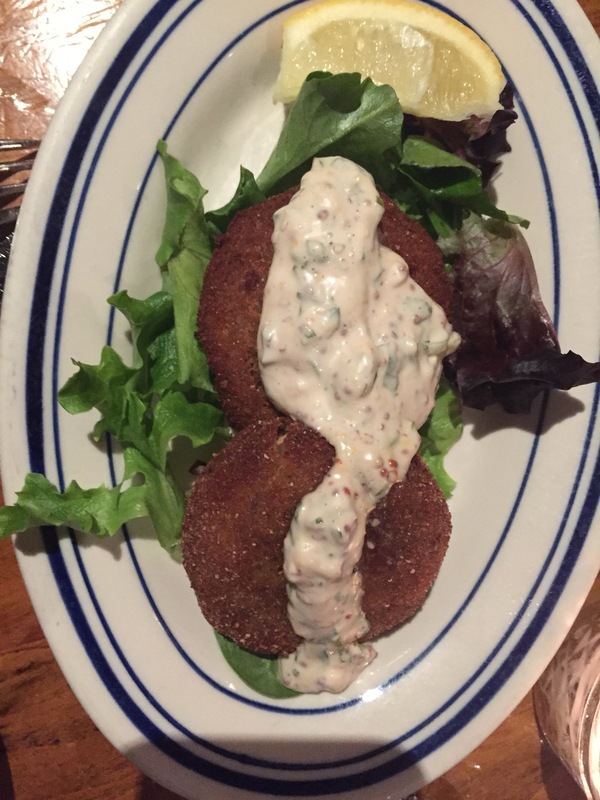 A pepper cake is a dish that is in the form of a circular patty, it appears to have some form of seafood in it, you see the golden brown crust on the outside, but when you take your first bite all you get is the taste of pepper. No distinctive flavor, no inkling that I am eating crab, all I could taste was pepper pepper pepper which equates to sadness sadness sadness. 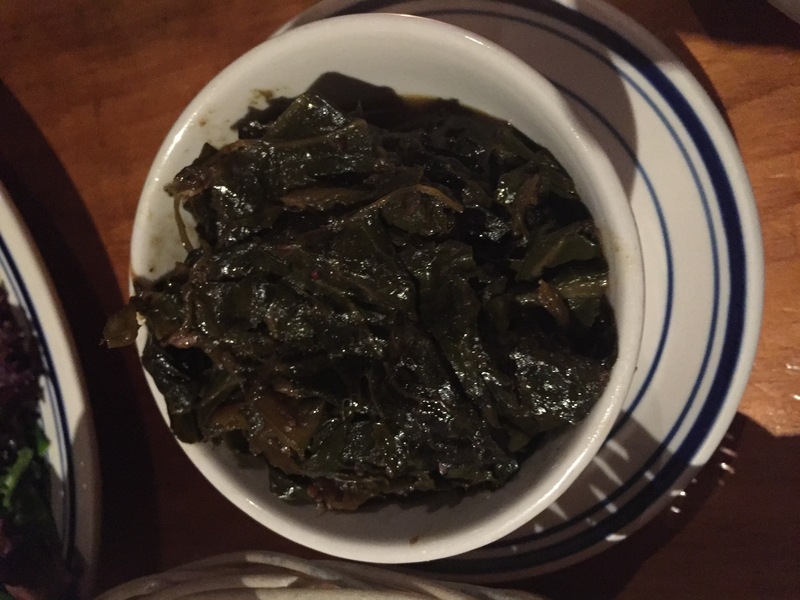 Next up collard greens which in my opinion is the best vegetable on earth. It provides nutrition, high levels of beta carotene, and with a little pork fat the most amazing veggie on earth. But Catfish when you decided to add brown sugar, you destroyed the sacred veggie, you attempted to dethrone the collard from the top of the veggie food chain. Those collards were so sweet if I closed my eyes I would have mistakenly thought I was eating a sweet potato. Sure the collards were tender, but the sweetness overpowered what could have been something powerfully yummy. 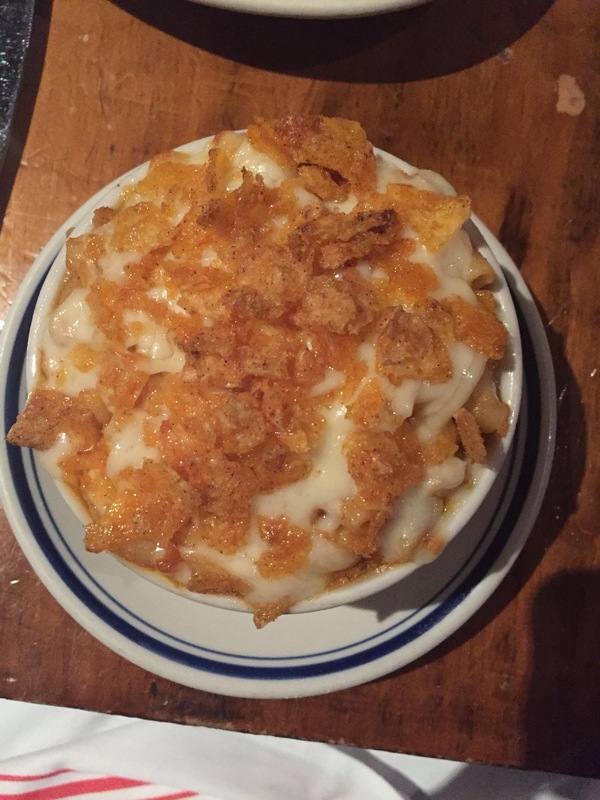 Lastly the macaroni and cheese with crispy crawtater chips as a topping, with béchamel sauce, gruyere & white cheddar cheese mixed in. This mixture reads absolutely delectable, but the execution of the dish was a blunder, because again all I could taste was pepper, no béchamel, just pepper, no gruyere, just more pepper. I thought the chips on top was a nice touch as I am always partial to hearing myself crunch when chewing. Catfish you attempted to withdraw my affections of soul food, your pursuit was to obliterate my fondest memories of what soul food was and what soul food produces inside me. But thank God my tastebuds are hardcoded, and they remember what is right tasting, and rejects the unpalatable. I hope they take your advice!! !